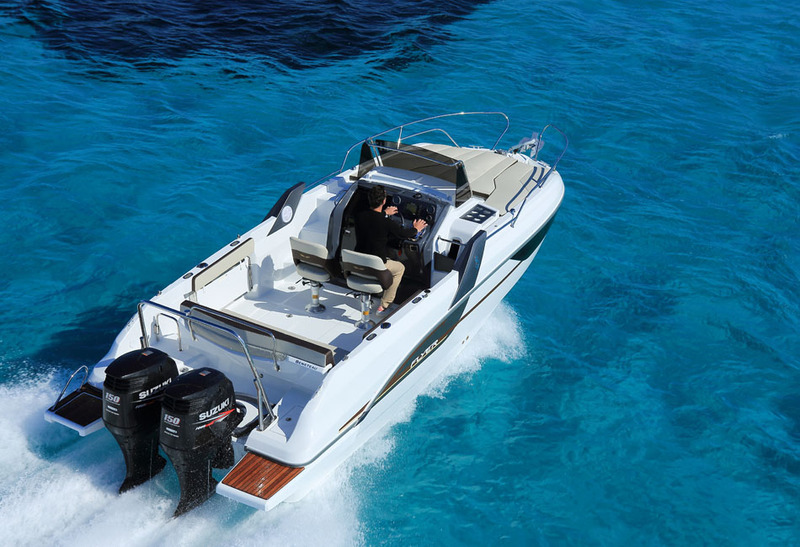 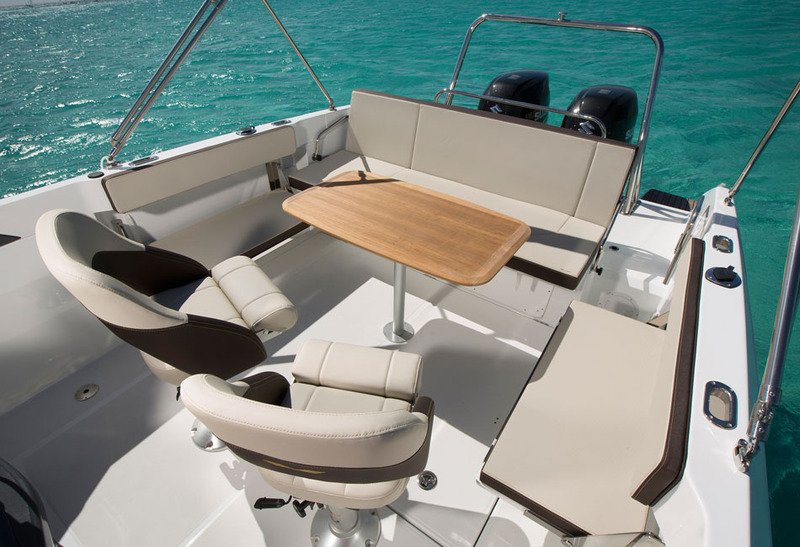 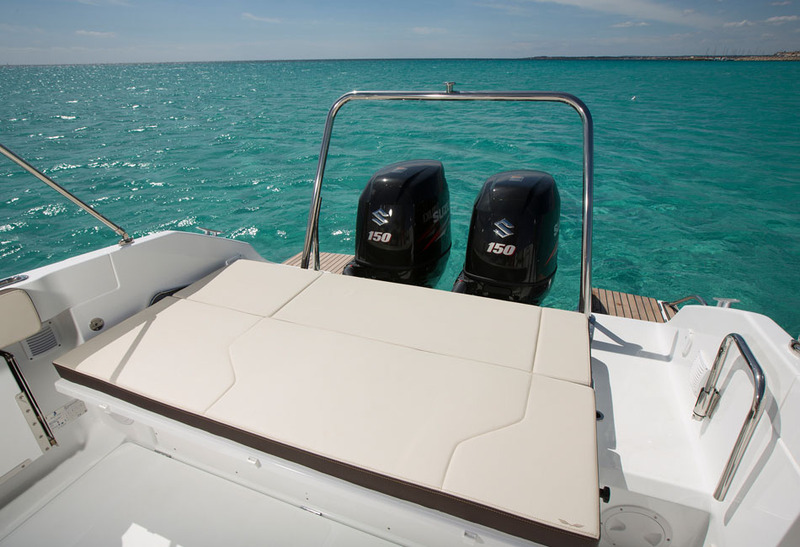 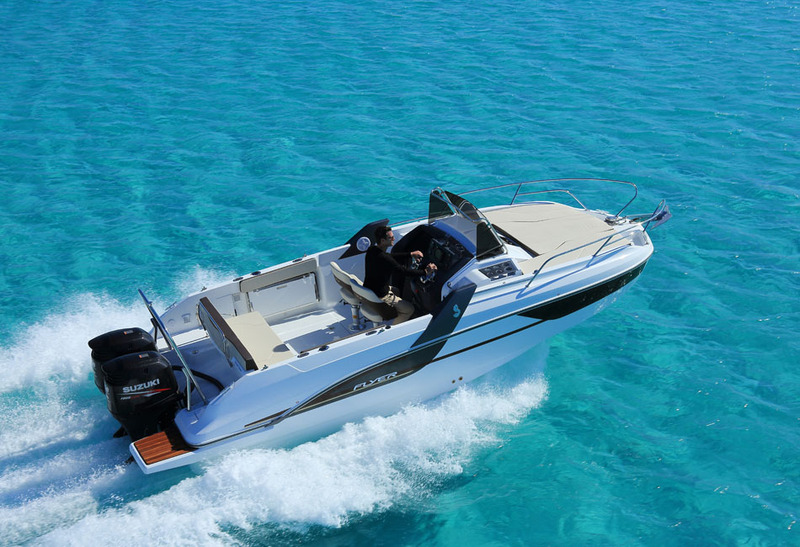 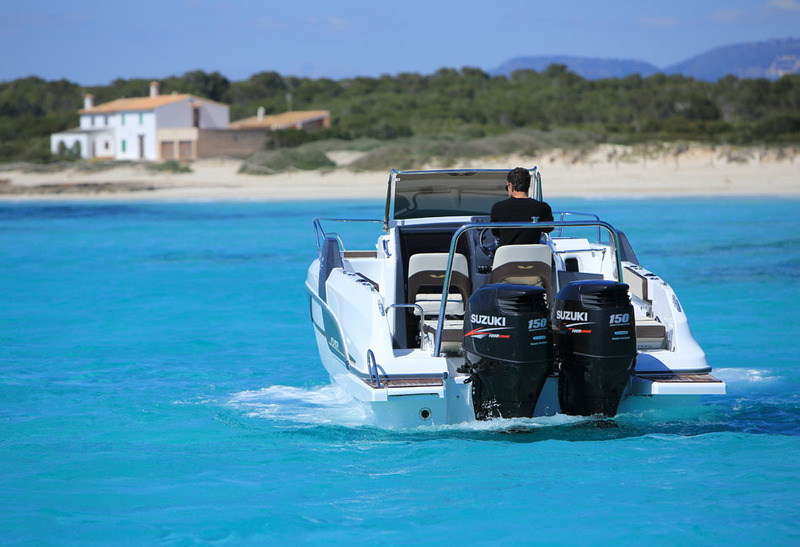 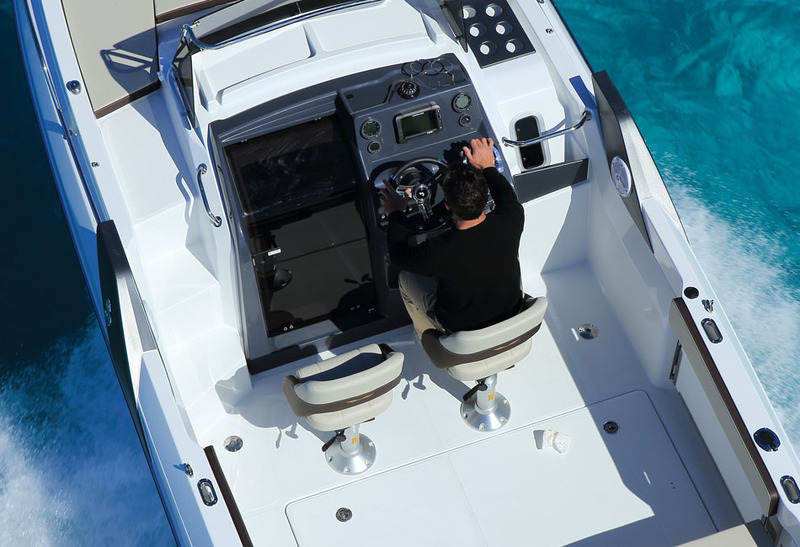 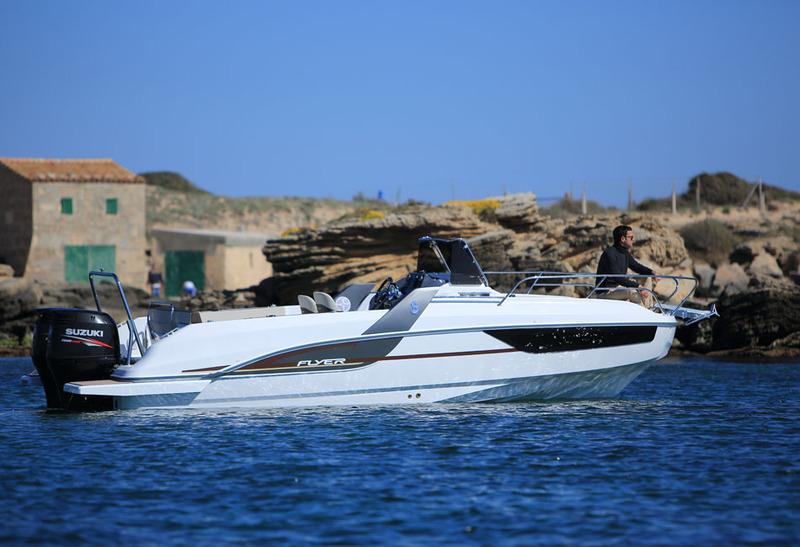 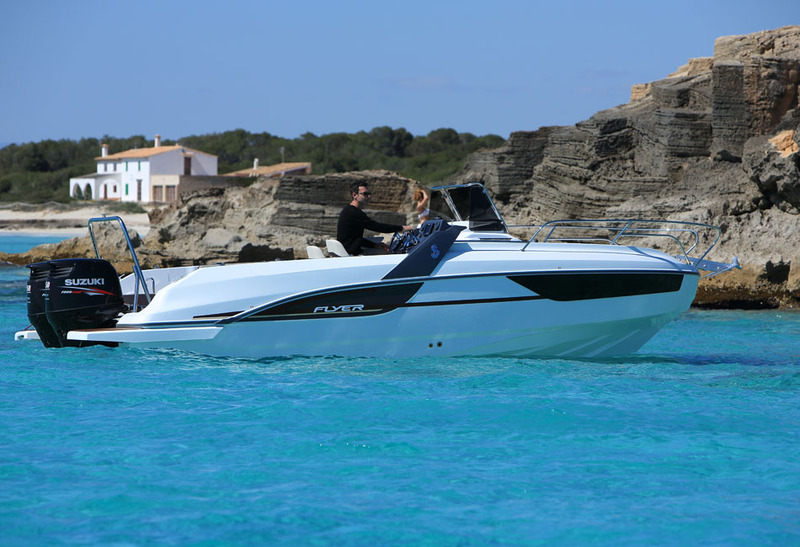 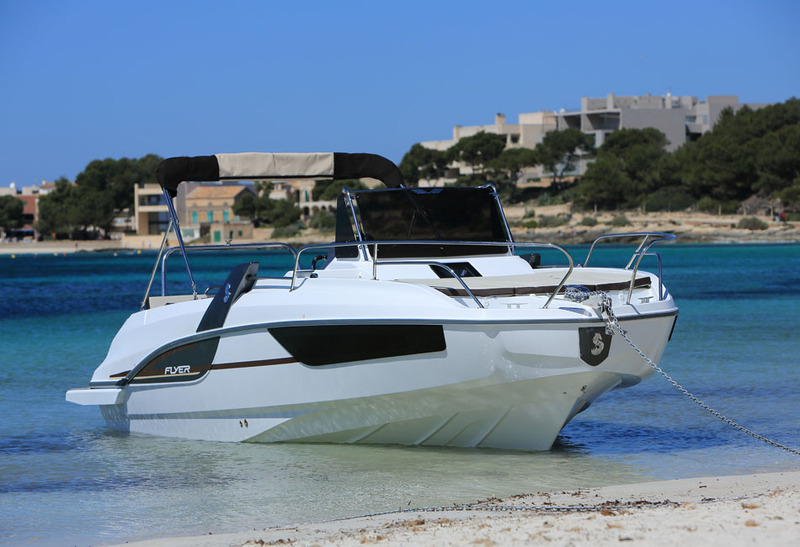 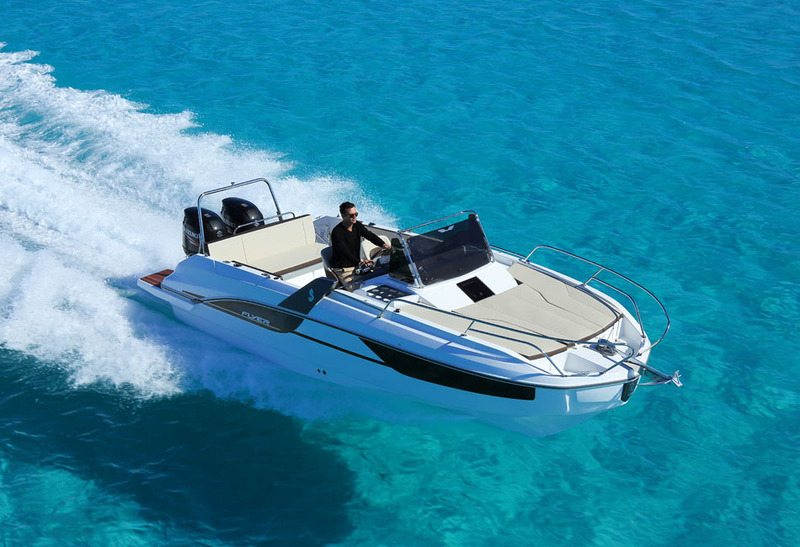 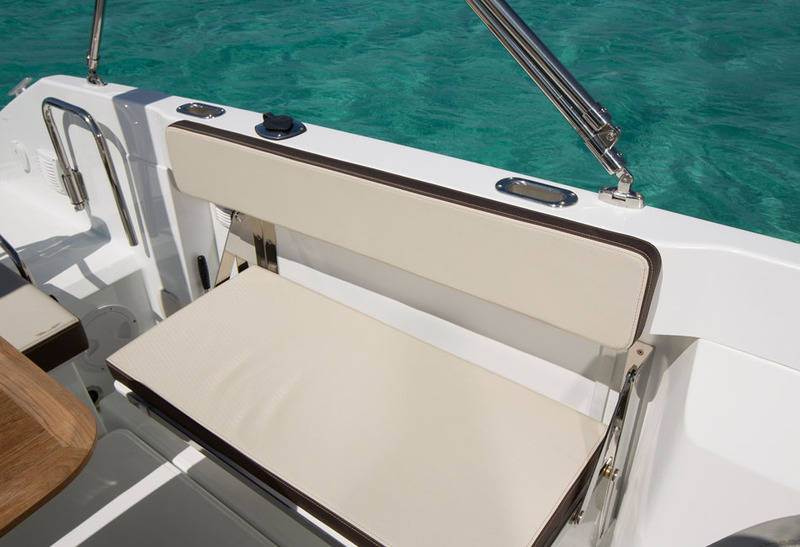 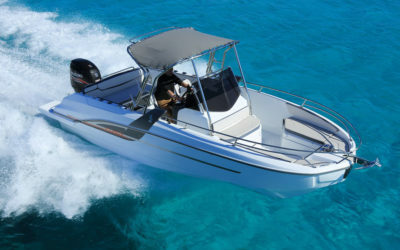 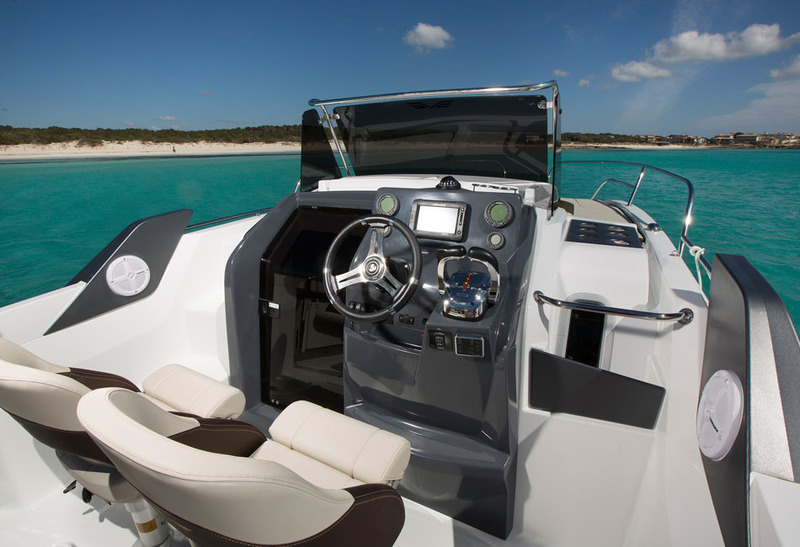 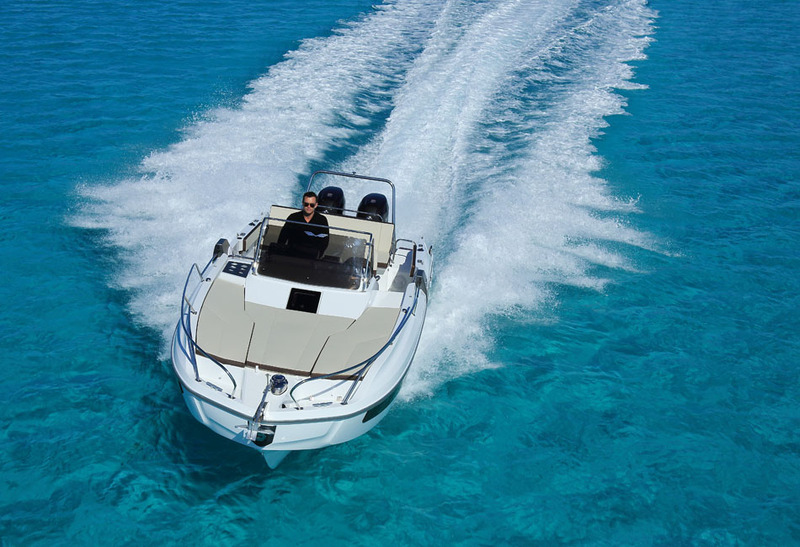 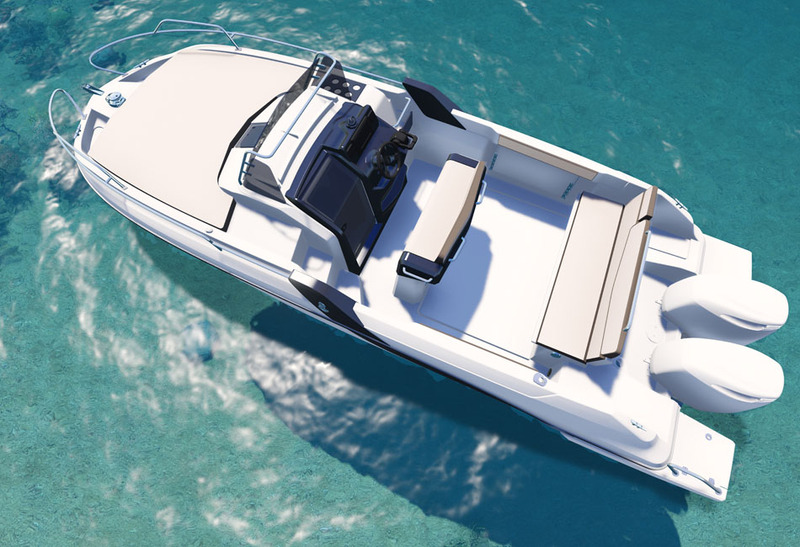 The Flyer 7.7 Sundeck is outstanding for its comfort and size. 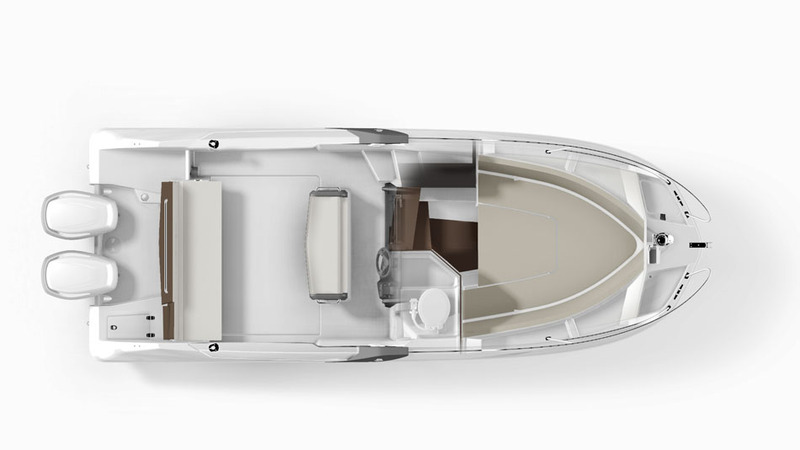 She can accommodate up to 10 people and is outstandingly habitable for her size. 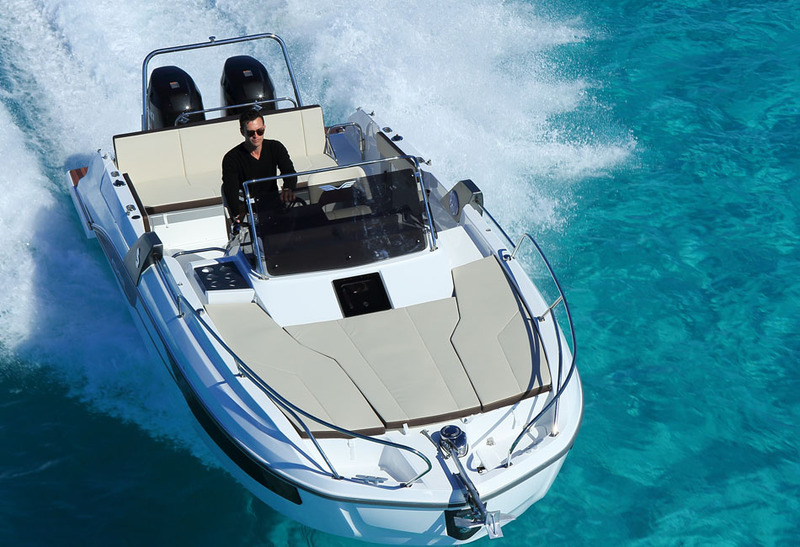 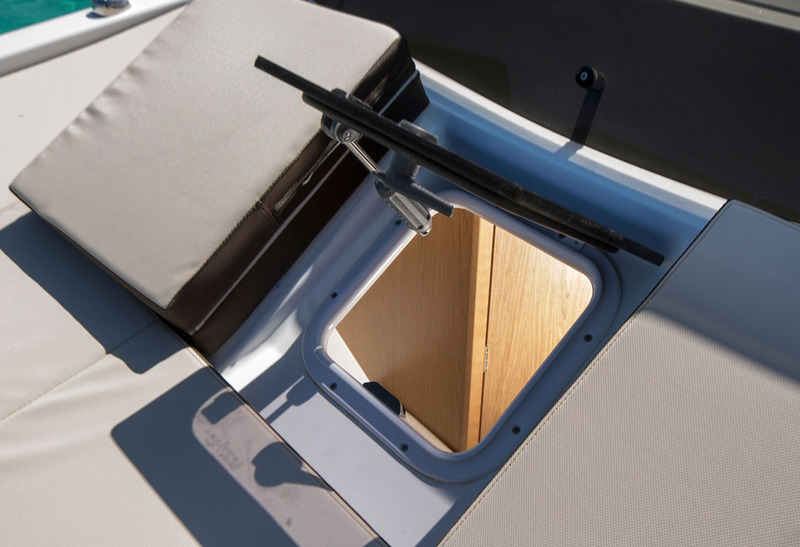 All the amenities of a seaworthy boat onboard make her ideal for days out at sea. 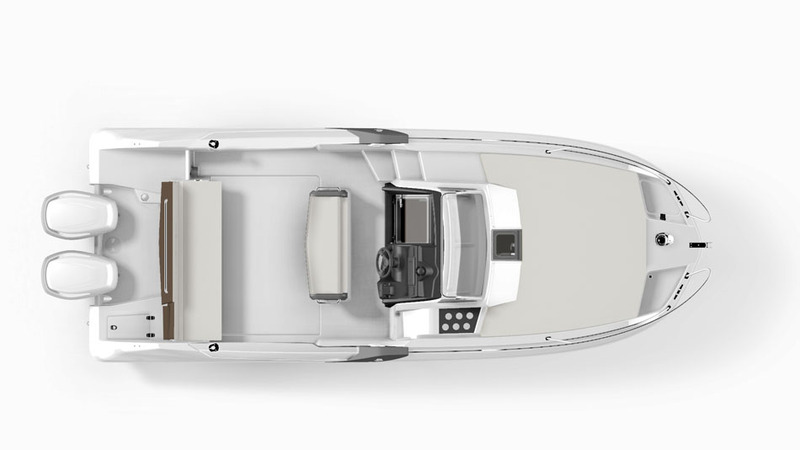 She is both elegant and sporty; distinct with the profiled lateral struts and a distinct windshield design. 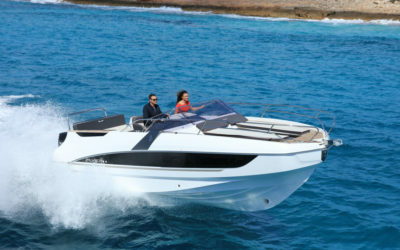 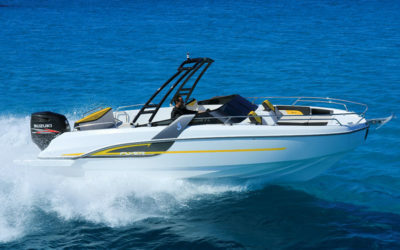 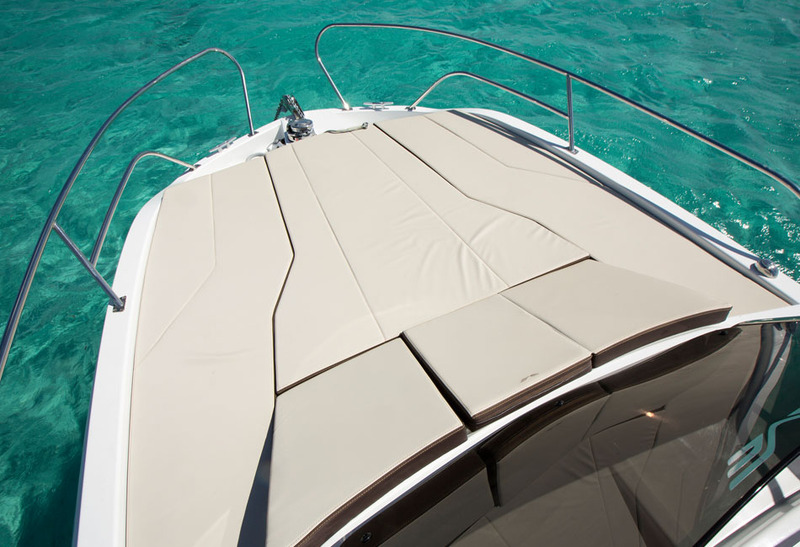 The Flyer 7.7 Sundeck has a very narrow bow, with a v-shaped hull that deflects water effectively. 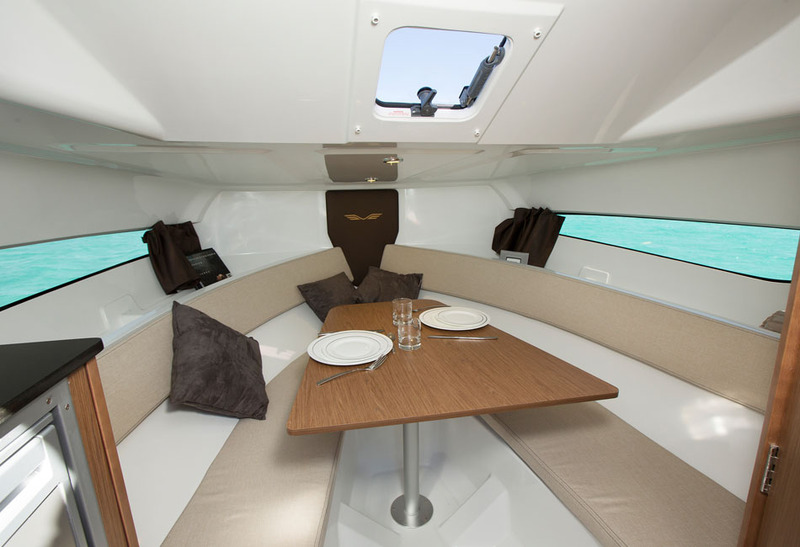 The Flyer 7.7 Sundeck has a spacious cabin and saloon. 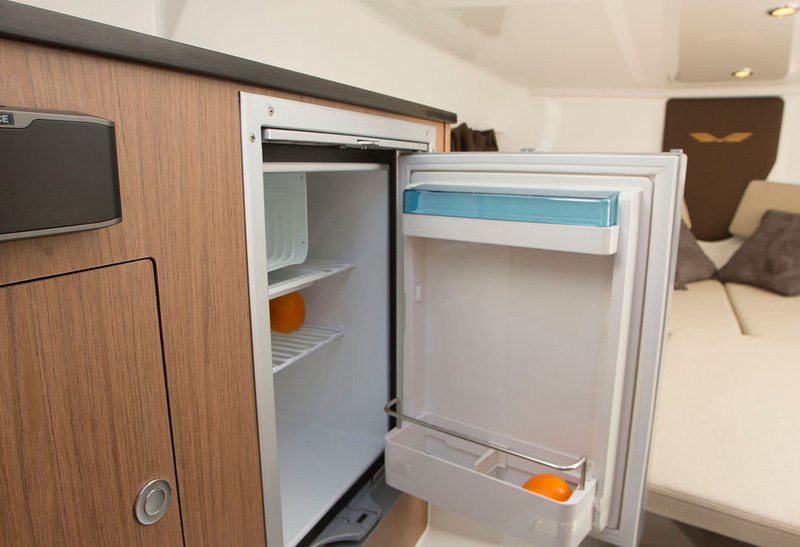 The galley is equipped with a refrigerator and microwave, and a separate shower room is complete with a wash basin, toilet, and water supply.